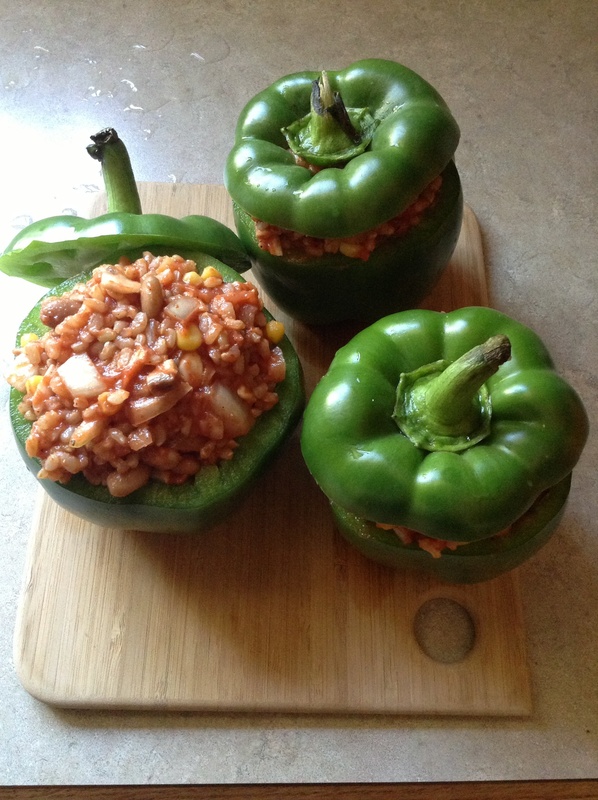 Yesterday morning I decided to make one of my favorite meals for dinner…stuffed bell peppers. Looking around at a dirty house, empty cupboard and cranky baby, I realized there was no way I was going to make it to the store, do dishes and clean house, all while carrying around a needy, teething baby. Surveying the situation as only a stressed out mother can, I came up with an alternate plan – quick vegetarian stuffed bell peppers using the crock pot. On a side note, now that I have a 10 month old baby, the crock pot is my new best friend; tasty meals with minimal fuss, no time constraints (can throw the ingredients in whenever I have a spare moment) and it is ready whenever we are ready to eat. Now, back to the recipe…it is pretty vague, but that just means it doesn’t matter what you fill the peppers up with, just add until the filling looks and smells good! 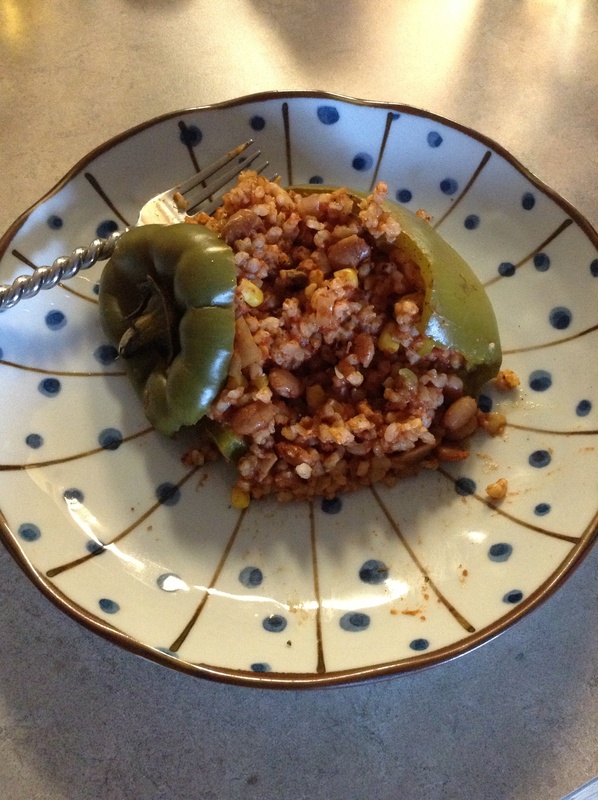 Cook rice first (I used about a cup), then in a bowl mix all the ingredients and stuff into bell peppers. 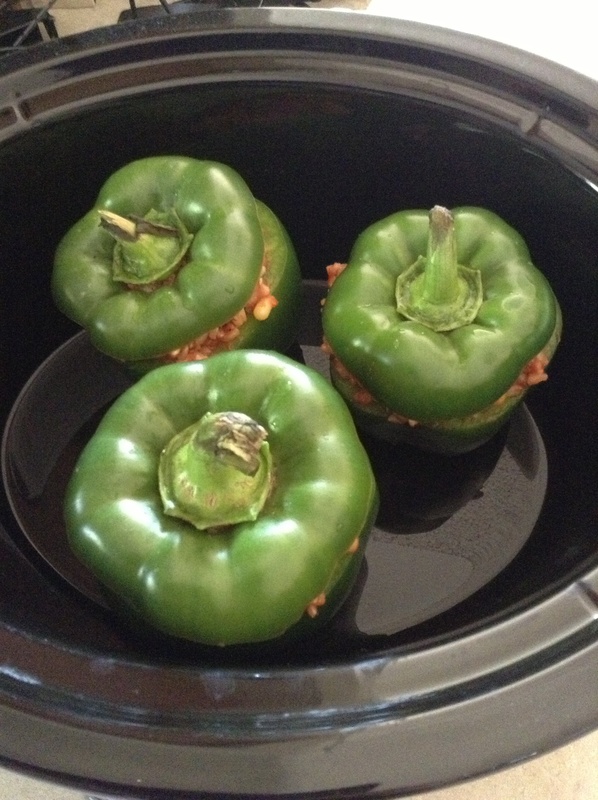 Add a half cup of water to the bottom of the crock pot then place the peppers inside. Turn on high for 4 hours or low for 6-8 hours. Enjoy! 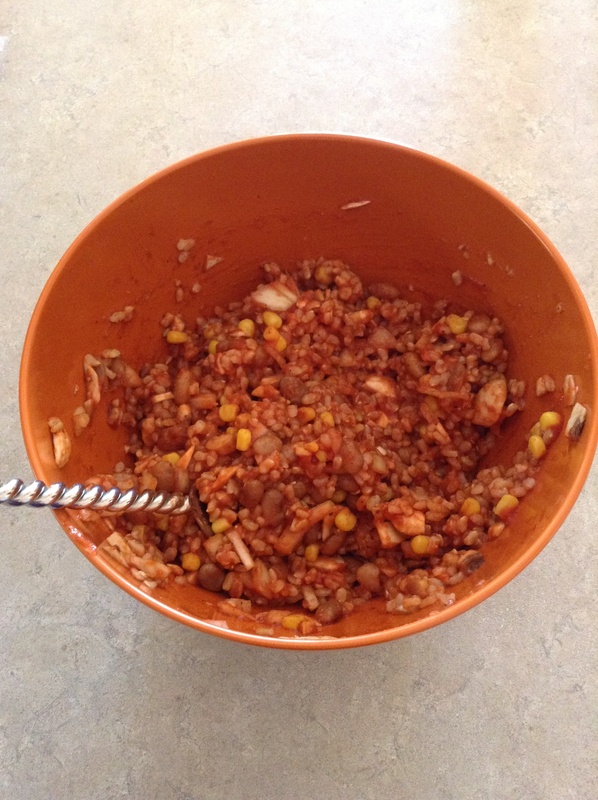 Definitely a tasty treat for dinner, and it only took 20 minutes of actual work! Coming soon, I promise, an insightful review of my new favorite workout, PiYo!